I know, I'm posting on a Tuesday, it's chaos!! I'm posting today because I am actually guest posting over at JavaCupcake today and this is NOT one you're going to want to miss! Have you ever heard of Insomnia Cookies? 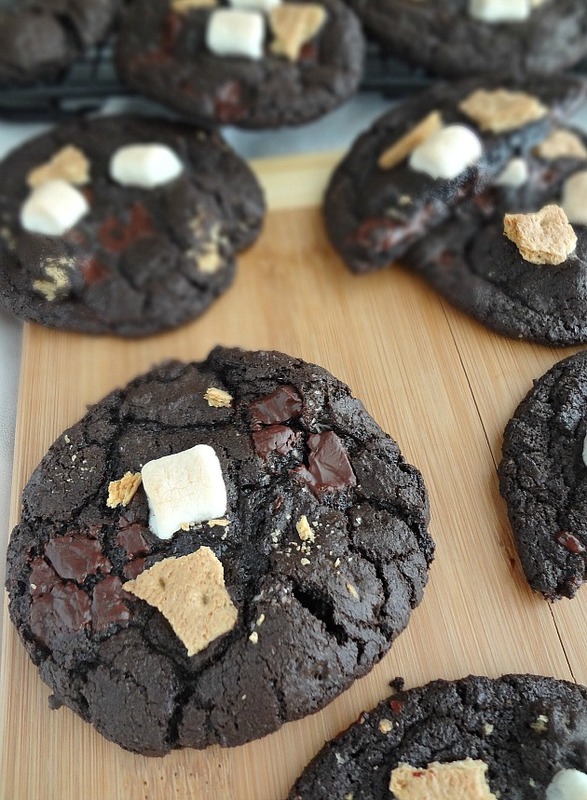 They're located in college towns and they deliver warm and delicious cookies pretty much all night. I do not live within delivery range of one, however I do live near a town that has one and I've been lucky enough to sample some of their delectable treats and I have a favorite...a favorite that I crave so much that I needed to recreate it at home! And that is where this recipe comes in! 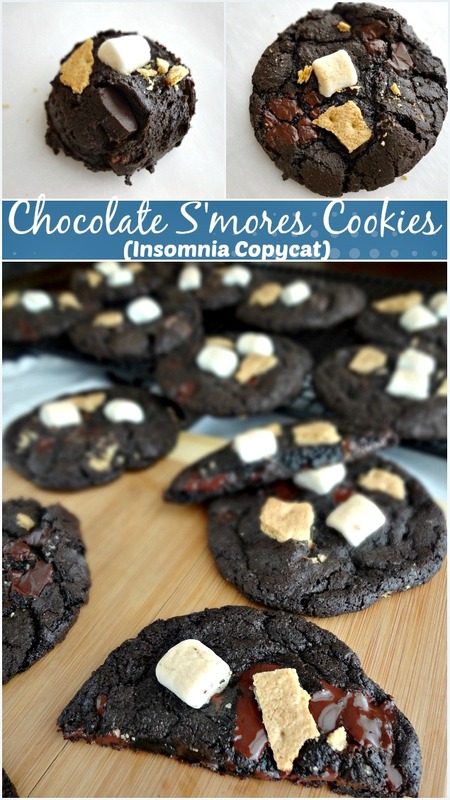 My brother and I both favor Insomnia's S'mores Cookies and I am proud to say that these are almost an exact replica! 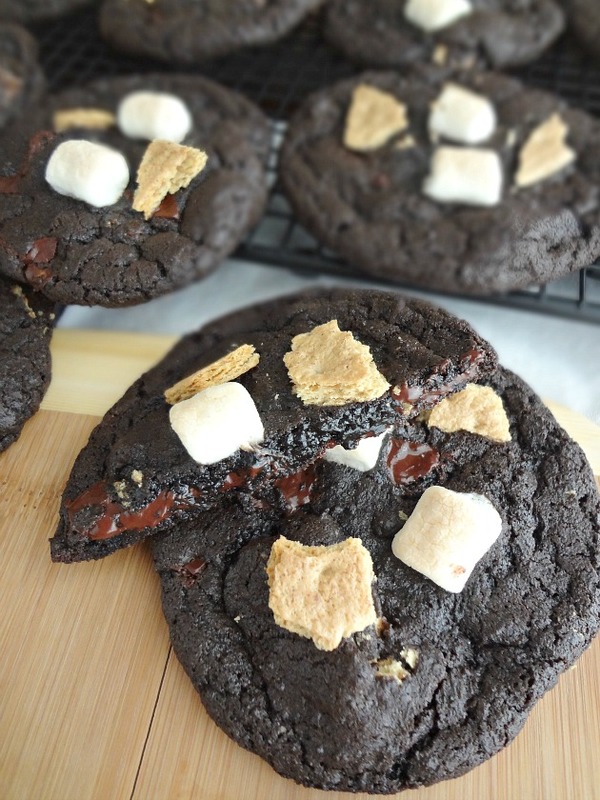 They're a large, chewy, and super chocolatey cookie filled and topped with melty chocolate chunks, gooey mini marshmallows (which also toast while they bake, adding to the s'mores-iness), and crisp pieces of graham cracker. *sigh* They're delightful. click here to go check out the recipe and say hi!